A while back, I was an avid reader of a weekly beer column called “What’s On Tap” in the Oakland Trib by the late William Brand. He mentioned a beer in an article he wrote, that just by his detailed description of it, made me want that beer. 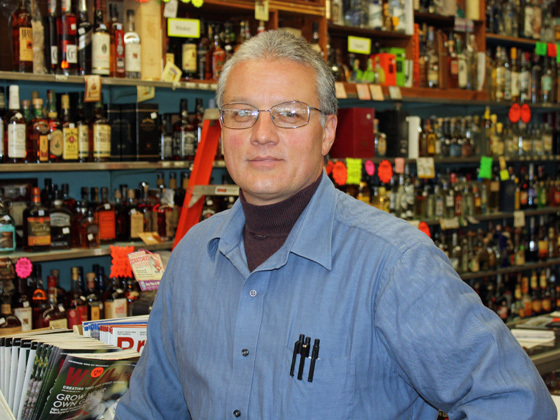 I contacted Bill directly after checking several stores and came up empty handed. 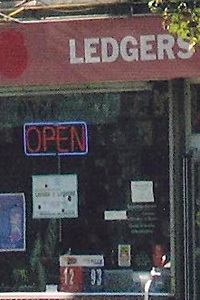 He told me about this store he goes to in Berkeley called Ledger’s. He said they have a great selection of hard-to-get beers and they might carry it. He also mentioned to ask for Ed. I called “Ed” and he did have the beer in stock. Looked up his address, which is off of University Avenue in Berkeley and I was off to get my beer. I was fairly caught off guard by the appearance of the place, since on the outside, it looked pretty run down and struck me as a place that would carry a wider selection of cheap beer in the 40oz variety than any other. Once inside, I made my way to the beer section. Wow! Not only did he have my beer, he had a whole isle full of Belgian beers that are not-too-common. Being a huge Belgian beer fanatic, I was in heaven. I met Ed, the owner and said I was pretty dam impressed by his selection. 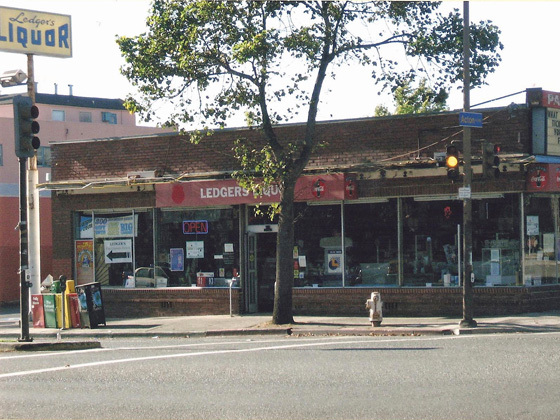 He told me a little history about the place, stating that Ledger’s is a landmark in Berkeley, that the store was originally on the corner of Dwight Way and San Pablo Avenue and at the present location since 1940. They were one of first liquor stores to get a license after Prohibition, (license #14 to be exact). Ed, the grandson, took the store to the next level. Really got to know the people in the beer industry, started stocking great beer and top notch spirits and turned this store into a jewel. What makes me come back again and again is “Ed”. He really listens to you when you talk, he makes well thought out suggestions to what you might like and if he doesn’t have the product, he will literally drive somewhere to get it for you. I leave this summary. Customer service is top notch, variety of beer is great, (especially if you like Hop Bombs and Belgian ales) and let me squeak in this little nugget of wisdom, never judge a book by it’s cover.